Too often landlords purchase rental properties based on the appeal of the deal, not on the overall appeal of the property to renters. Investors looking for higher margins can crunch the numbers and pump up the rent. Unfortunately, renters may not play along. 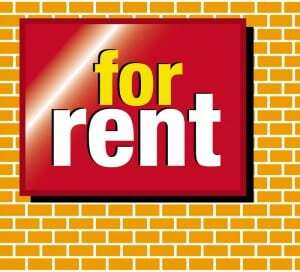 Be realistic and match rent to the competition available at the time the unit comes on the market. Or better yet, come in just a little bit lower than the comps. That $50 difference, spread out over a year’s lease, may be better than another month with the property generating $0. The rental market is generally cyclical. Whether it’s a problem tenant who left mid-lease, delayed remodeling or repair projects, or closing on a rental property late in the year, you may be set to fill vacancies during the dormant period. Look at what’s going on in the area. For instance, find out if you are missing the deadline for college students starting classes. Watch rental ads in the newspaper and watch for cycles. If you’ve had to terminate a lease, offer a shorter lease to the next tenant, then renew or re-lease during a busier time of year. A poorly-maintained property will lead to unplanned vacancies. First, the lack of appeal will chase away applicants who feel they can do better. Those who are willing to settle are less are less stable tenants in the first place. The law works against landlords in this situation, and tenants may be allowed to break the lease over habitability issues. Even if they stay, they may be entitled to rent abatement, further sapping your property’s profit potential. More and more, apartment seekers are using the Internet to find properties. If you are not riding the wave, you are losing out to other more tech-savvy landlords in your area. Many of the apartment listing services now offer incentives, including cash, to tenants who find rental homes. The content of your ads must maximize the property’s appeal. The standard of the industry now is to provide photos or even video tours. If you rely on a ‘for rent’ sign — still a viable option — include a flyer box with pictures and ample information to get applicants excited about the property. Periodic vacancies are inevitable as tenants move on. Be ready for a quick turnaround by keeping a checklist of needed maintenance and repairs for each unit, and line up workers in advance of move-out dates. Nurture good relationships with contractors and with tenants, and you will improve your bottom line.